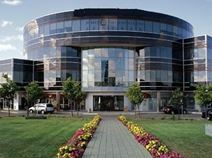 Located in Markham’s prestigious business district just off Highway 7, these premier executive offices offer the latest and greatest in modern technology and convenience. With spectacular views of the surrounding park area, ample free parking and fantastic transport links, the huge range of space available can be tailored for any and all client needs. Shopping malls, premier dining and additional urban amenities are within seconds of this superb business centre. Remarkable, sleek new build benefiting from sophisticated design and fully-serviced executive suites are widely provided at this executive and prestigious corporate location. 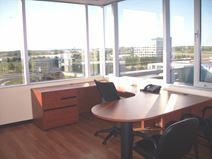 Located just off Highway 404 and Highway 7, these ultra-modern offices are only minutes’ away from downtown Markham. Each leased space comprises an impressive array of modern technology and close proximity to Ontario’s heaving centre of globally-recognized companies. Strategically located within Canada"s Silicon Valley, this Class A building provides quality office space in a plaza setting popular with real estate professionals, lawyers and accountants. The locality's extensive transport links are also excellent and provide all prospective tenants with a range of frequent and convenient services in operation throughout the area, including even the furthest reaches of the wider region. These freshly-built executive suites offer clients all the luxury of full furnishings, support personnel and cutting edge virtual offices. Perfect for any company looking for a flexible lease terms and layout options. Hire is inclusive of fully equipped conference rooms. Highway 7 and all of Markham are just seconds away. The local transport links are excellent and make the center easily accessible across a number of networks. This modern, high-end office centre enjoys excellent natural light and is ideal for meetings, corporate functions and day to day working operations. It has a dedicated on-site support team consisting of experienced and trained specialist staff and is well equipped with spacious board and meeting rooms. The centre enjoys an ideal location in Markham, home to world-class tech enterprises and excellent public amenities and transport. Introducing these striking penthouse executive suites with impressive views of the surrounding area. Wired with state-of-the-art technology and equipment, additional benefits include close proximity to Highways 404 and 407, and easy access to the huge range of services on offer at Beaver Creek. The regional transport links available throughout the area are also excellent and provide all prospective tenants with ease of accessibility.